Well, since I apparently can't keep tabs on what day it is, I found myself without a post ready for today. 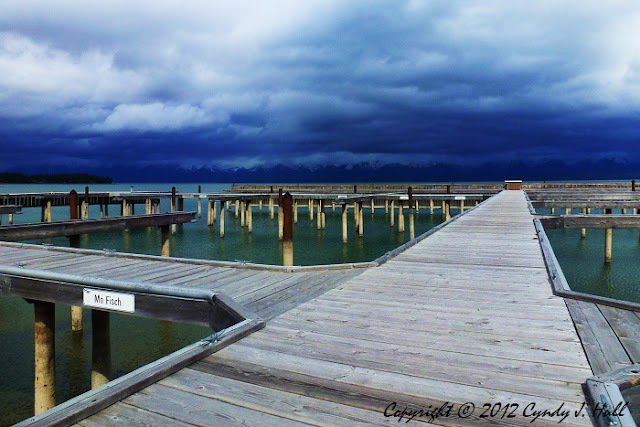 So, I've decided to re-post a favourite photo of Flathead Lake, taken last spring. I've always been calmed and comforted by views of vast water, so was thrilled to read recently that neuroscience has found a beneficial connection between the brain calm and expansive views, such as the ocean or wide grasslands. So, eat your kelp and go to the beach, for your own good. So there is a scientific reason why our brother Wes 'needs' a wide open view from his home.